A Flying Jatt Teaser: Here, you can watch the official teaser trailer A Flying Jatt. This official teaser has been released just now. 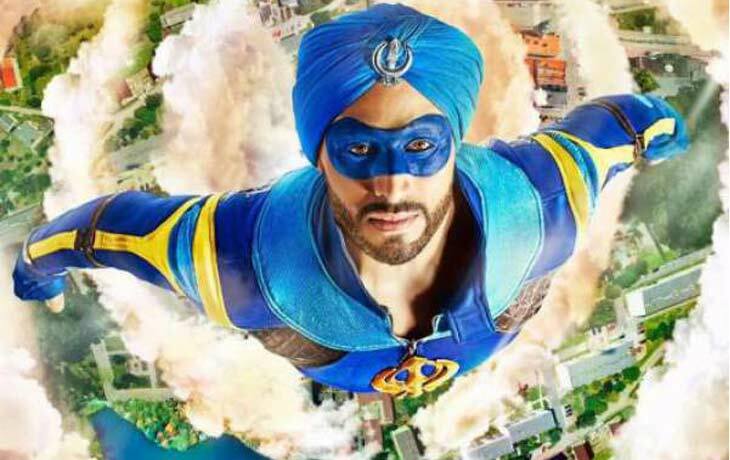 It is a Punjabi Superhero story whereas, the Tiger Shroff is the star of this movie. The Flying Jatt First Look Post made lots of excitements about this film. The film featured by the desi superhero, Tiger Shroff and Jacqueline Fernandez. Tiger is the another superhero after the Krish. Remo D’Souza is the director of this Superhero film, A Flying Jatt. Jones is the antagonist of this film. Scroll down and Watch the A Flying Jatt Movie Teaser Trailer Video. A Flying Jatt Teaser has uploaded on YouTube by the BalajiMotionPictures. The costume of this superhero cost around Rs. 20 Lakh. The Hollywood Superman and Spiderman fame designer designed this costumes. Here before, Tiger appear on the screen as a dancer and fighter. Now, he is the second superhero of Bollywood after Hrithik Roshan. A Flying Jatt teaser shows the massive animation and Tiger’s love sharing with Fernandez. Tiger saves this planet from the evil power. This Movie will release on August 25, 2016. The opponent villain is the Former Australian actor and Wrestler, Mr. Nathan Jones. Stay tuned for more updates about the latest Update on B-Town.